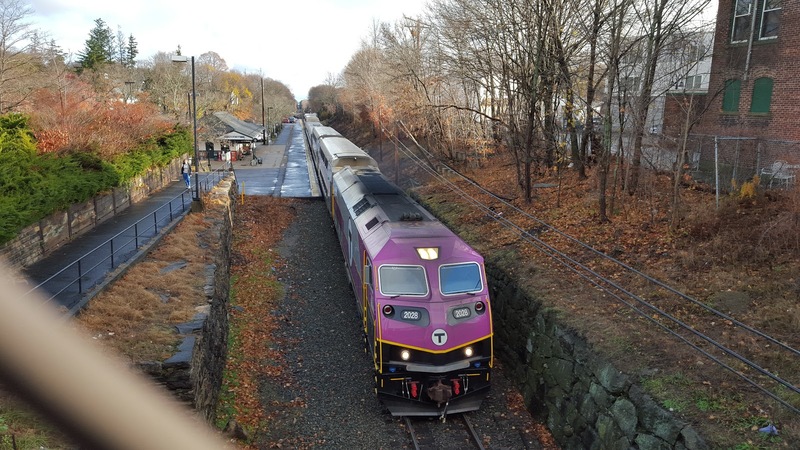 Franklin Matters: "People want a robust service"
"Commuter rail riders will be forced to take a bus along the Franklin line from Forge Park to Readville station in Hyde Park on weekends until late May. Due to construction starting on the track this past weekend, bus service will run on weekends until May 27. Each commuter rail station from Forge Park to Readville, 9 stops, is marked with signs that indicate where and when the next bus is scheduled to arrive. The times are intended to match up with the times already posted online, but with traffic, the schedule is unpredictable. There is no construction on weekdays because of the impact on the commute, according to state Rep. Jeff Roy, D-Franklin.